Tiger Woods’ latest ad campaign: Ride a motorcycle not a cocktail waitress! 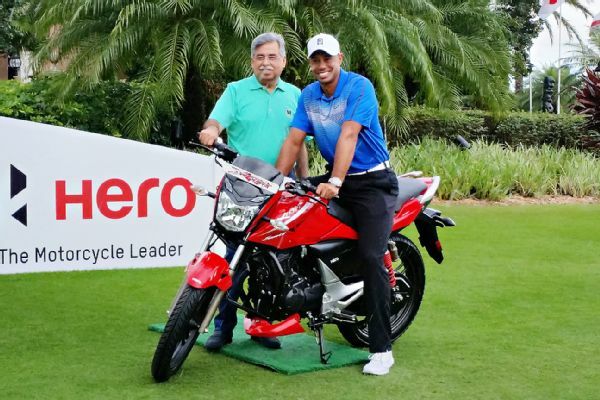 Although he’s never ridden a motorcycle, Tiger Woods announced this week that he’s signed a four-year endorsement contract with Hero MotoCorp Ltd. (ticker HMCL:IN), India’s largest motorcycle manufacturer. Woods’ relationship with Hero went public back in September when the company announced that it had agreed to sponsor this week’s World Challenge tournament at Orlando, Florida’s Isleworth Golf & Country Club. The event has an 18-player field and benefits Woods’s charitable foundation. This entry was posted in Sports & Leisure and tagged Tiger Woods. Bookmark the permalink.